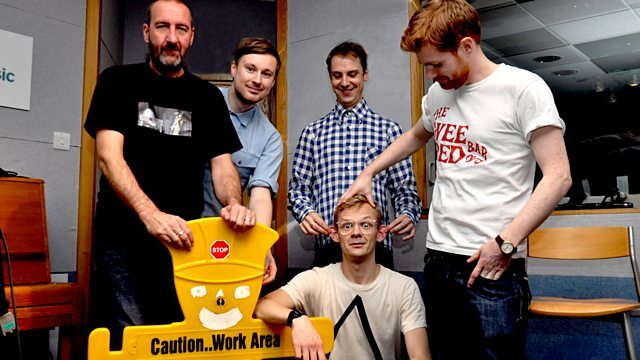 Marc has the lovely Django Django live in session. Live in session we've the lovely Django Django. For the last three years, Django Django have been busy working on their debut album in the bedroom of their drummer, producer and de facto leader David Maclean. No release date as yet though .. we can't wait. Completing Django Django are Vincent Neff, the singer and guitarist, bassist Jimmy Dixon and synth operator Tommy Grace. The quartet, who met at art school in Edinburgh, first came to peoples' attentions after a gradual migration to London a couple of years back and 2009's double A-side single "Storm"/"Love's Dart"..